Record and Capture Anything You Want to on the Computer Screen. No matter what kinds of screen activities on your computer, like online videos, games, skype chat, demonstrations, you can use VideoSolo Screen Record to record them to a video. 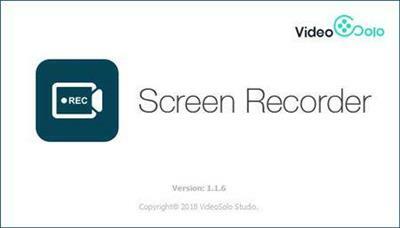 If you want to record audio only, VideoSolo Screen Recorder can help you do that easily. It has an independent audio recorder, which can record all types of streaming music, radio or online audio and save them to high-quality MP3/AAC/M4A/WMA audio track. Of course, this smart audio recorder also empowers you to record your own sound from microphone. Thus, you can add oral explanation to your video tutorial or presentation. This program can record and output any audio with high quality. It provides you multiple output audio format, so you can choose anyone you like. With the shortcut button, you can easily start and stop the audio recording. Aside from video/audio recording, VideoSolo Screen Recorder also enables you to capture snapshots of particular screen areas, then use drawing tools to highlight image hotspots or points of interest. This feature can also be done while recording videos. With this program, now you can make any screenshot as you want.